Yes, it's that time of the year. Time to get your festive spirit in order so you can get started with eating and buying presents. I got myself really organised this year and have bought my most important presents already. 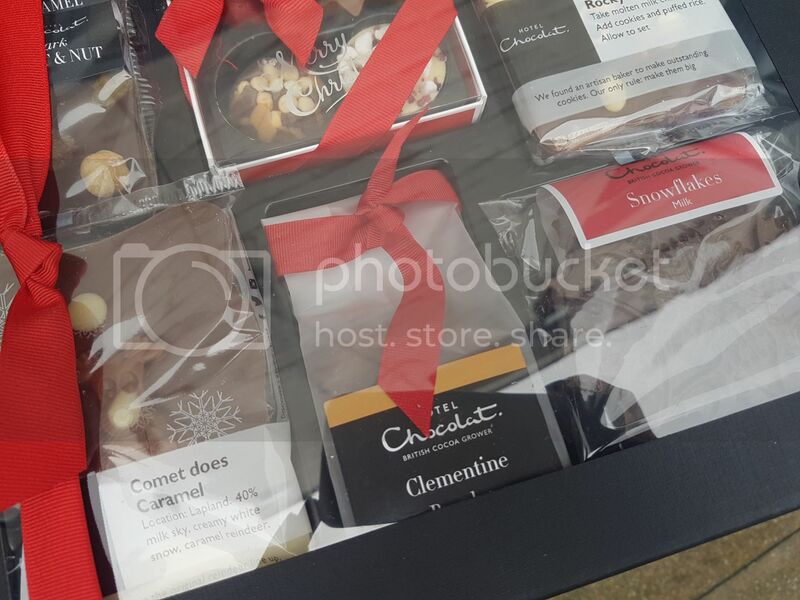 But if you're stuck for gift ideas, Hotel Chocolat has you covered. 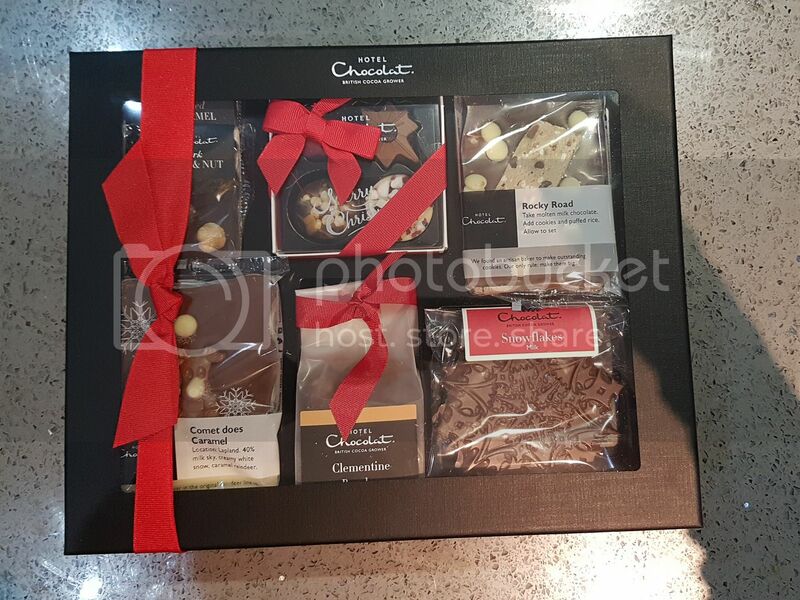 They have this great Merry Little Christmas Hamper, which would make a fab presented for all chocolate fans you know. This awesome box of happiness contains so much goodness, it's insane. It has Rocky Road, a caramel slab, milk snowflakes and so much more. I'm saving this until Christmas morning before I start opening and munching through these all - I'm crazy excited to open this up. 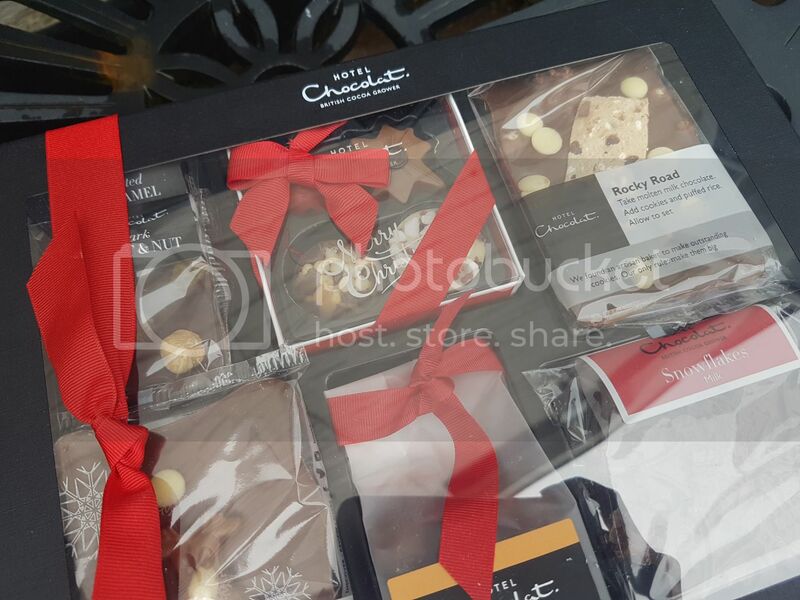 There are so many other Christmas things available from Hotel Chocolat, from Yule Logs to Christmas Bauble's. You'll seriously be spoilt for choice. Oh gosh, I haven't even thought about Christmas shopping yet - well, okay, I thought about it briefly over the weekend but then quickly gave up. I haven't bought a single gift yet - oops! The options from Hotel Chocolat always look delicious but sadly I don't think they're available in Canada.